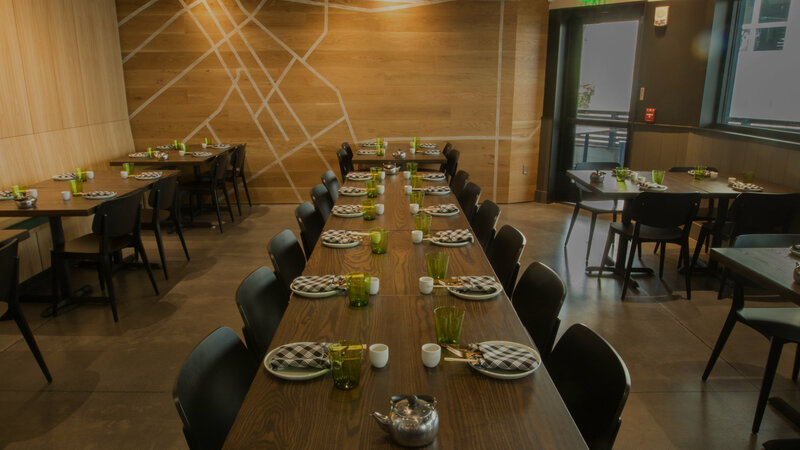 Seating at LINEAGE is available on a walk-in basis via OpenTable “Wait List” or by simply walking into the restaurant. If you ever have difficultly making a reservation online please feel free to call the restaurant. We are happy to assist. We welcome walk-ins and will seat your party as tables become available, while you wait you may wish to shop and or to grab a drink next door in Island Gourmet Markets. Our full dinner menu is available at the bar. The food at Lineage comes from a place in the past – a place where everyone gathered around and shared together the food that was laid out in front of them – food that is from the heart and filled with memories. Dishes will pay homage to those who inspire Sheldon, and will celebrate his familial roots (or Lineage), as well as the vast bounty of the islands. Born in Hilo on the Big Island, Sheldon acquired his love for cooking from his parents. His path led from Hilo High to the Culinary Institute of the Pacific, on to an internship at Walt Disney World. Upon returning to Hawaii, Sheldon attended Maui Culinary Academy. He competed in the 10th season of Bravo Network’s “Top Chef: Seattle,” making it to the finals, and winning Fan Favorite. He returned to the show again in 2017 for season 14 “Top Chef: Charleston,” once again winning Fan Favorite. In 2016, Sheldon opened his very first solo restaurant, Tin Roof, in Kahului, Maui, where he serves up local dishes in take-out bowls. Sheldon’s food is a playful take on classic local dishes, including a variety of poke, kau kau tins, sandwiches, noodles, and more. His mix of innovative modern cuisine and adherence to tradition influence his dishes and help shape his menus. His growing legion of loyal fans will attest to his award-winning creativity and palate. This summer, Sheldon will open his second solo project, Lineage, also on the island of Maui. Sheldon’s first full service concept, the restaurant will delight guests with traditional local Hawaii fare. The menu will represent the feeling of dining at home alongside extended family and feasting on family-style dishes typical of a Hawaiian luau. Sheldon welcomes customers to his restaurants as he would his home, with a relaxed community atmosphere. Sheldon resides in Maui with his wife Janice and their four children.